What’s new you may ask? Well a few things. To start, the deck has been shortened down to 19” long by 4.25” wide to make it the best amatuer level scooter on the market. 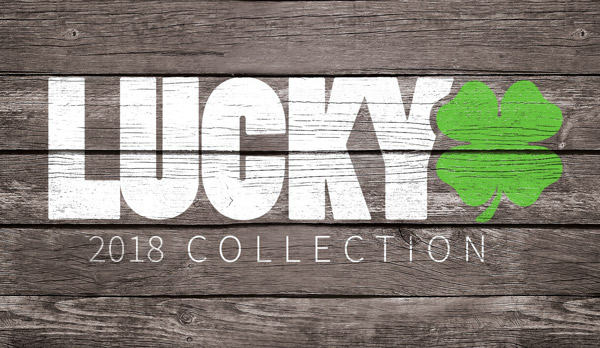 It has HIC compression like all the Lucky Pro Scooters but this time it’s a bit different. The HIC is actually called TCS - Tool less Compression System - has an integrated bolt so you can tighten your compression without the use of an allen wrench, just the tabs on top of the TCS! It’s a bit hard to explain but once you see a video of it you’ll better understand. 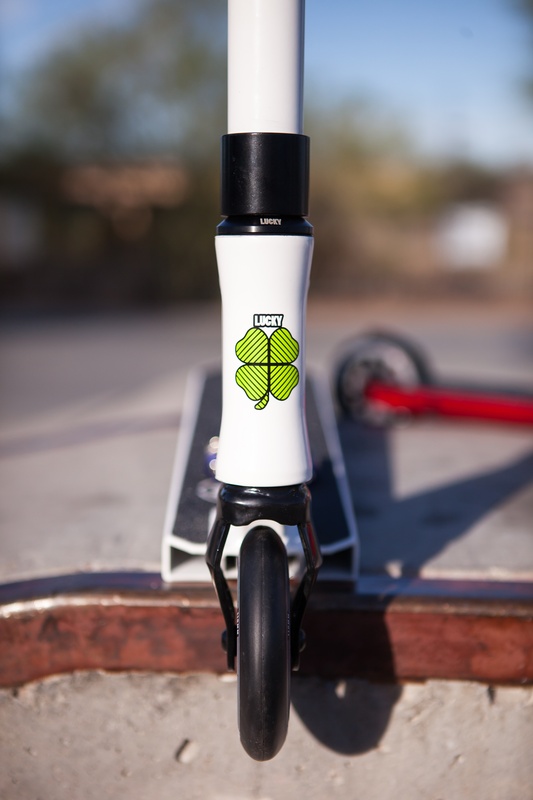 It also features a new updated fork that gives it an awesome look! 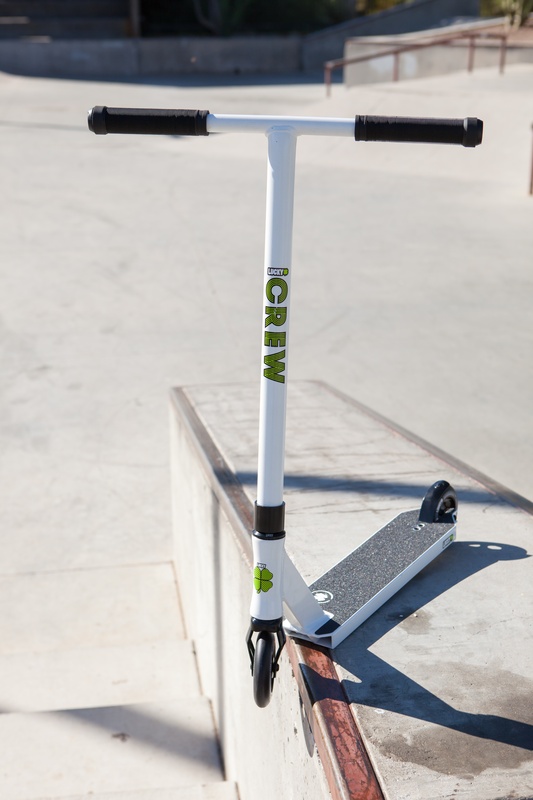 The updated CREW is the perfect pro scooter for a beginner rider trying to get into the sport of scootering and the perfect scooter for someone on a budget. The price is very hard to beat for the quality of scooter you’re getting. 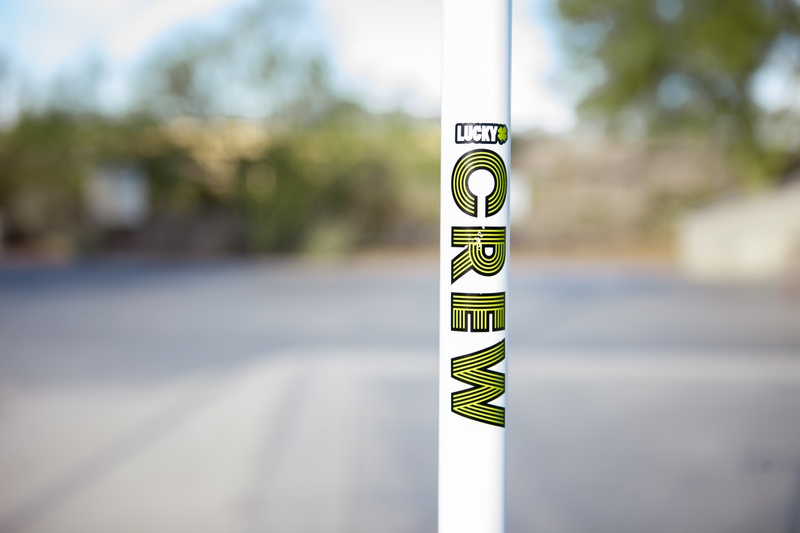 With 110mm wheels, HIC compression, and an awesome price point, the CREW is a hot item from the DRC!